Alexan City North Apartments in Dallas, Texas exist in a Zen-like setting punctuated by high-tech amenities. Thus, the genesis of TPA’s marketing slogan: Natural Spirit. Cyber Soul.This theme is depicted in the clubhouse in a set of translucent photo panels, which serve both as elegant architectural screens and a subtle reminder of the reasons to live at Alexan City North. TPA designed, engineered and managed fabrication and installation of the screens. 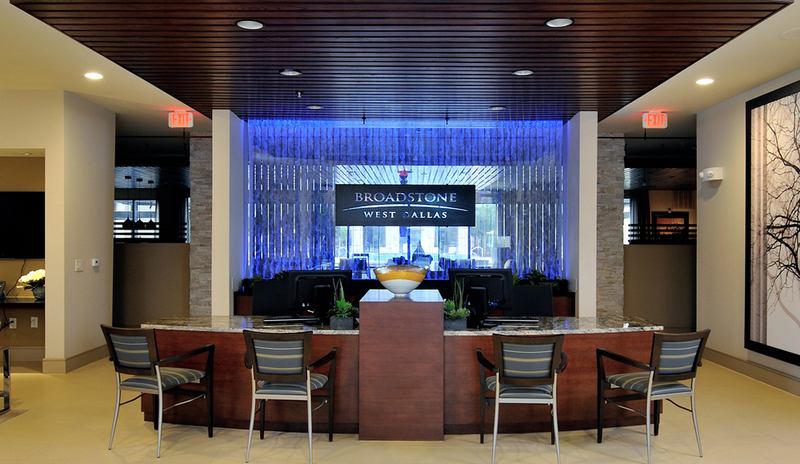 Four exciting Houston neighborhoods come together at Broadstone West Dallas, leading to the community’s tagline, More To Explore. Two wall displays in the Leasing Center support this positioning. The first, a wall map, features highlights of all four neighborhoods, linked by a Google compass fabricated of metal. The second, an internally lit lifestyle display, reinforces the marketing theme in words and images. TPA designed and engineered the displays, as well as the bubble wall and “floating” logo located behind the leasing desk. The CRT Builder Design Center serves as an interior design resource center for new homebuilders and their clients in San Antonio, Texas. Since choosing finishes for a new home can be very stressful, The Phillips Agency was asked to create messaging and imagery that could inspire, encourage and ultimately reinforce customer design decisions. Working closely with CRT’s builder and interior design team, TPA created seven wall displays that blend beautifully with the Center’s style, while helping to move and motivate clients through a multitude of design decisions. 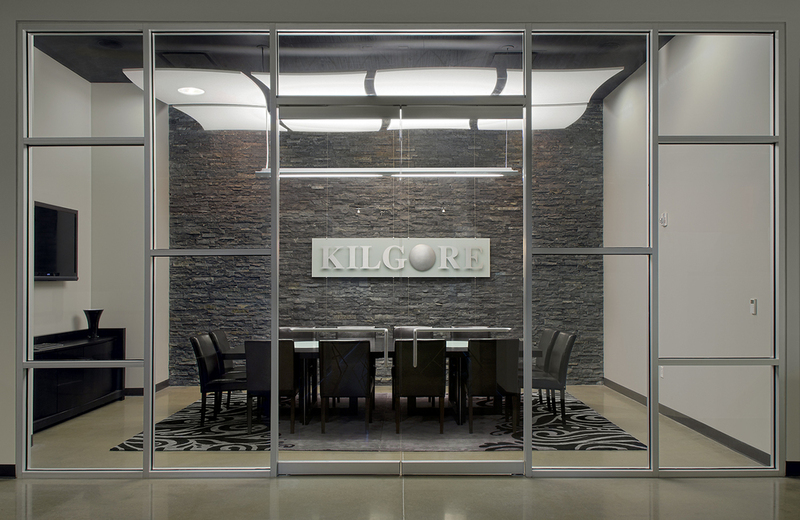 Kilgore Industries approached TPA to solve a sound problem in their training room. Due to the expansive space and high ceilings, sound echoed during presentations. TPA designed two wall displays featuring acoustic panels in Kilgore’s colors to absorb sound, along with images of several of the firm’s signature projects. Dark walls and additional acoustic panels across the rear of the room further muffled the noise. 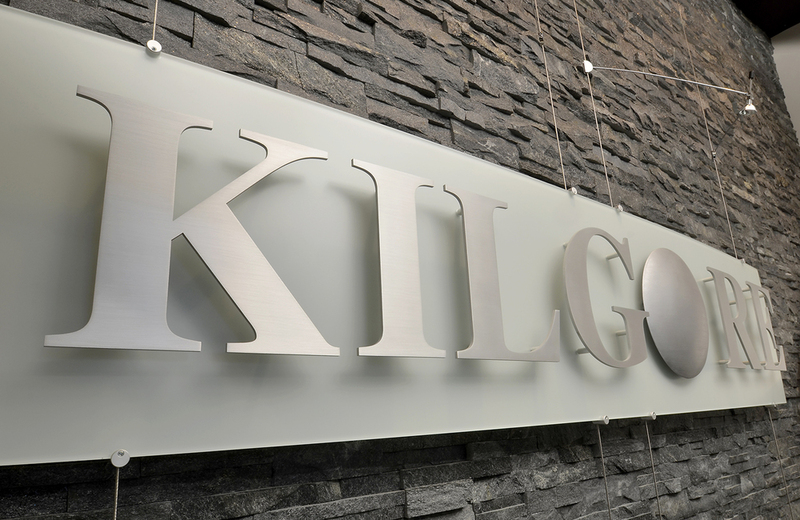 In Kilgore’s conference room, the challenge was to add the company logo to an uneven ledge stone wall. This was beautifully achieved by placing the logo on a translucent backer suspended by cables. Integrated cable lighting sleekly illuminates the display. 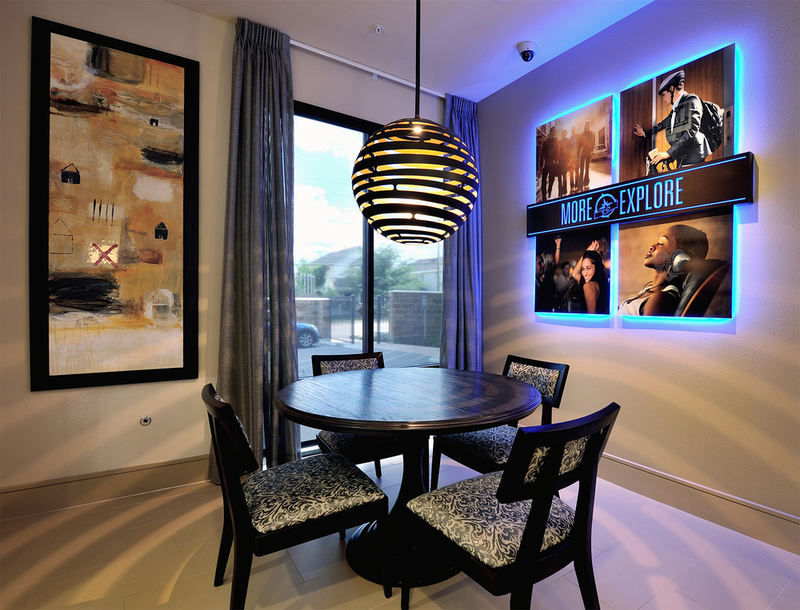 Toll Brothers features a Style Gallery in each of its Design Centers. The Gallery, which features different design styles from classic to modern, is intended to help new homeowners determine the style best suited to their lifestyle. TPA was chosen to design the prototype Style Gallery for Toll’s Reno, Nevada Design Center. Using six-foot tall panels to showcase the elements of three design styles and “floating” shelves to display actual finish samples, the Gallery helps homeowners choose the products that best complement their personal style.